The legal debate over guns and the safety of New York's citizens continues at a fever pitch in the wake of the Herkimer horror, where four people were shot yesterday. The Central New York tragedy and Wednesday’s refusal by a state judge to block New York's tough new gun law, have kicked the gun control issue into overdrive. A Siena College poll recently found New York voters, by a 2-to-1 margin, support the New York Secure Ammunition and Firearms Enforcement Act, which included a broader ban on assault weapons and lower limits on the capacity of magazines. Downstate Assemblywoman Michelle Schimel is a staunch supporter of the NY SAFE act and a strong proponent of background checks – she says her heart goes out to Herkimer. The NY SAFE act was pushed by Gov. Andrew Cuomo, a Democrat who had sought the changes after high-profile shootings in Newtown, Conn., and Webster in Monroe County, New York. Assemblyman Jim Tedisco, Republican of Glenville in the 112th District, champions Second Amendment rights under the U.S. Constitution. Since New York passed the SAFE Act in January, 34 counties have passed resolutions opposing it, all of which are north of New York City. Tedisco points out that it’s a tough proposition to get harmful weapons out of the hands of criminals without infringing on the rights of people who own guns for personal protection. Many law enforcement officials say they are not convinced the SAFE Act will make the streets any safer, and they believe the bigger problem to be the illegal handguns already on the streets. Charlie Samuels with Saratogians For Gun Safety applauds state and national efforts to pass gun-control laws. The Herkimer incident hasn’t affected plans for another gun show scheduled to be held this weekend in the Spa City. Samuels says his group will be on the scene and plan to demonstrate on the streets. Casino gambling and New York’s new gun law, the SAFE Act, have emerged as two issues in Albany sparking a good deal of debate this session. Republican State Senator Kathy Marchione, of Saratoga and Rensselaer Counties, is leading an effort to repeal the gun law passed earlier this year in New York, and the first year lawmaker is also backing a measure that would require the locations of casinos to be known before lawmakers approve a constitutional amendment to allow them on non-Indian land. HARTFORD, Conn. (AP) — The National Rifle Association is showing a stepped-up presence in Connecticut. 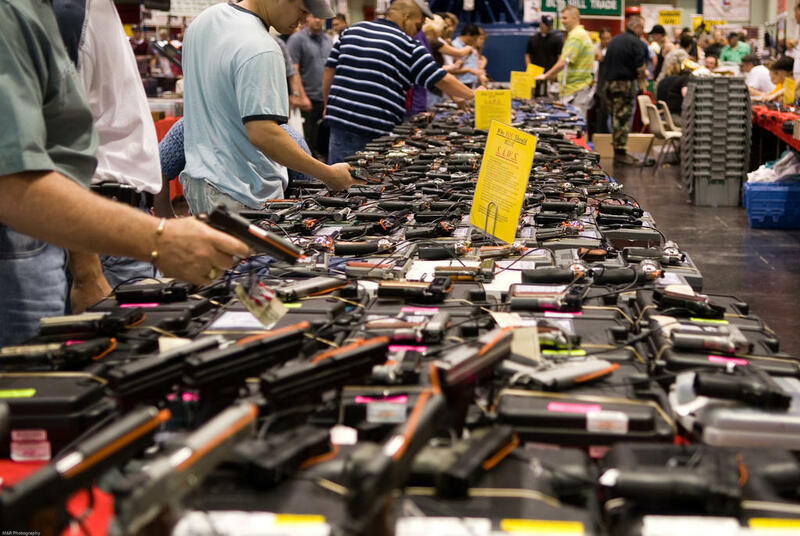 The number of weapons background checks carried out by the F.B.I. has been on the increase in recent months. That’s according to a new report compiled by the Brady Center to Prevent Gun Violence in Washington D.C.